Adoption is something that helps the children and the people who want a child to warm their heart. There aren’t a lot of people who really know and understand the meaning of adoption. Usually everyone knows the basics like, people adopt, because they want to help a child, can’t have a child, or just want government money which is really sad. These things are what I and everyone else think of what adoption is, but there is so many other important facts about adoption that I never knew before. After researching about adoption I found out good and bad things about it. As a person that doesn’t know a whole lot, reading articles based on adoption has blown my mind. In an article named “ The Waiting Game” written by: Prue Leith, she tells her story on how her husband was adopted as a little boy, Then her and her husband adopted their child and now their child is adopting their grandchild. She also states how different it has changed since she had adopted her daughter. Prue states, “There are now nearly 73,000 ‘looked after’ children in the UK, rising every year, and it gets increasingly difficult to place them as they get older” in which is very true and heartbreaking, because it is harder for the older children to get adopted. It is so hard, because nowadays a lot of people want babies or little kids so they could be able to raise them. I think that everyone should know the real facts about adoption, because it’s something very important. I believe that people who care and help out are the people who deserve an award, because adoption brings out happiness and sadness at the sametime. As I was doing my research I never knew that adopting a child came with having to do so much work, while trying to adopt and when you’ve have already adopted your child. In this article that I read written by, Asher Folg she stated a lot of interesting facts about the children who are waiting for families to bring them to a new home. She said “ One out of every 25 U.S. families with children have an adopted child” which is new to me, because I never knew about this fact. Another think that she said that really blew my mind was ,” There are 107,918 foster children waiting to be adopted” while reading this my heart dropped didn’t know that there were so many kids in the fostering system just waiting in group homes having hope for a family to come along. Thinking of how these children feel make me sad, because I know most of the kids aren’t in great homes while in the system and I just don’t understand how the government could get put kids in homes when the environment is bad for them. There needs to be a change and a lot more effort on the government side. Did you know that there are three types of adoption? Well they have types of adoption while your in the process so as the singles or couples are looking and trying to find out how to adopt a child. They are given a choice on which type of adoption they going to go through to get there new loving baby or child. While I was reading the article, “Adoption” by: Gale Encyclopedia of Everyday Law, she mentioned “ When individuals or couples choose to adopt, the have options.” Reading the different types were very interesting, because I never knew that there was a choice given or that the individuals and couples had a say on the looks of the child they were going to adopt. I would think that people wouldn’t care about what there child looked like. Right? But no people really care and expect to find a certain child to look like the way the parents whom are adopting describe what they want. Which is very sad. I guess it’s okay in a way to a lot of other people because of the money they pay to adopt a child that isn’t in the foster care. This type of adoption is when the singles or couples want to adopt a child who has the same culture as they do. Also to look physically like the parents who are adopting like the race in particular. This type of adoption are when the parent or parents don’t particularly mind what culture or ethnicity the child is. In other words they don’t care what kind of child they are going to adopt, because they are going to love the child anyways. The last type of adoption are adopting children who live overseas. In which adopting from different countries which a little bit easier than the other types. Even though it’s easier it comes along with adding more steps to the whole process. Also adds having to understand our government rules and their child whom is getting adopted country as well. After all these facts that I have found with the research of articles. I could say that there is a lot of important factors that come with adopting children. I hope after reading this research paper it has helped you as much as it helped me understand more about how complicated adopting could be. Leith, Prue. “The Adoption Waiting Game.” The Spectator (London), May, 2018. SIRS Issues Researcher, https://sks.sirs.com. This article talks about a married couple who the husband was adopted as a child, also how they both adopted a Cambodian girl named li-da which she is going to adopt a child. The main things that I read was about the whole process of adopting a child and the visitations that happen throughout the whole process. The writer of this article Prue Leith is a cookery writer, novelist, businesswoman, and a journalist. I am using this source into my report by showing how adoption isn’t easy at all. On how there are many things that needs to be done while in the process and having people show up surprise at your home. The article is teaching me things I never knew and that’s how I am putting it in the report as a learning process. “Adoption.” Gale Encyclopedia of Everyday Law, edited by Gale, 3rd edition, 2013. Credo Reference, https://search.credoreference.com/content/entry/galegel/adoption/0?institutionId=5312 . Accessed 26 July. 2018 This article talks about the different types of adoption. The types are of what the type of kids the people who want to adopt end up choosing. Also it’s about all the hard obstacles that the people who want to adopt a child have to face. I am using this source in my report by showing my peers that there are different types of being able to adopt a child. Another reason is how hard it is to help a child have a better life than what they have. This source is reliable because I found it on the library database under the resources. Edelstein, Susan B., et al. 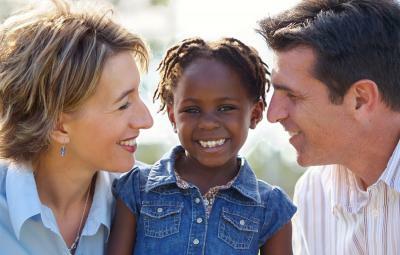 “Preparing and Partnering with Families to Support the Adoption of Children from Foster Care.” Adoption Quarterly, vol. 20, no. 1, Jan-Mar 2017, pp. 119-133. EBSCOhost, doi:10.1080/10926755.2016.1170087. This article is about how the whole process people end up going through to adopt a child. Also the steps and order of on how the processing goes about. I am using this source in the report on showing that there are many steps and how it pretty much goes about. This source is reliable because I found it on the library database under the resources. Provencher, Ashley J., et al. “Adoption Policy and the Well-Being of Adopted Children in the United States.” Child Welfare, vol. 95, no. 1, Jan. 2016, pp. 27-55. EBSCOhost, search.ebscohost.com/login.aspx?direct=true&db=ehh&AN=124228780&site=ehost-live. This article is about stating the policies and rules of adopting children in the United States. Also it talks about how the percentage of children that need a little more attention behave without being in ASFA or APA. I am using this source because it’s helping me understand that there are rules to benefit the children. Also how there are people helping the special need kids or older kids get adopted by getting into a program. This source is reliable because this article is written by 3 professors. Fogle, Asher. “Surprising Facts You May Not Know About Adoption.” Good Housekeeping, Good Housekeeping, 21 Mar. 2018, www.goodhousekeeping.com/life/parenting/a35860/adoption-statistics/ .This article is about how many children that are adopted, in foster care, and how many US citizens consider adopting. Also it’s just about the important facts about adoption itself. This source is going to be used into my report by helping me tie in facts into the paragraphs. This writer of this article, Asher Fogle is reliable because she is a writer and is married to a composer.